Aesthetic Surgery Center Naples Florida: What's in Injectables? Don't be alarmed by the fact that the main ingredient in Botox is botulinum toxin, the same toxin that's responsible for botulism and that's produced by the bacteria C. botulinum. As with many toxins, it's the dose that makes botulinum poisonous. When administered in careful amounts by a plastic surgeon who is trained and who has plenty of experience, botulinum toxin can actually have plenty of benefits. One of those benefits is that Botox helps minimize lines created by facial movements for around three months. The botulinum toxin found in the injection keeps specific nerves from signaling specific muscles, so that the face relaxes and the movements that cause crow's feet or frown lines aren't made. While many people commonly associate Botox with helping to reduce wrinkles, it has a number of other uses and provides a number of other helpful benefits, such as reducing the frequency of migraines, helping calm overactive bladders, and controlling overactive underarm sweat glands. Some ingredients found in injectable fillers are also naturally produced by the body. Hyaluronic acid, for example, is naturally found in the human body. It's found in the connective tissue, around the eyes, around the joints, and in the skin. The name hyaluronic acid is actually a bit of a misnomer and can be a bit confusing, since the substance isn't acidic or an acid at all. Instead, it's a type of sugar that's known for its ability to draw in moisture. People have plenty high levels of hyaluronic acid in their skin when they are young. The substance is part of the reason why babies' skin tends to look so plump and feel so soft. As you get older though, the levels of hyaluronic acid in your skin and the rest of your body drop, so that skin starts to look drier and duller and wrinkles are more likely to form. Injectable fillers that contain hyaluronic acid as their main ingredient, such as Restylane and Juvederm, help to inflate or fill in the skin around a line or wrinkle, smoothing out the treated area. When injected into the skin, hyaluronic acid provides instant results, filling in lines right away. How long the results from an injection last depend in part on the type of filler used and the thickness of the hyaluronic acid gel. Typically, the thicker the gel, the longer the results last. Along with being used to fill in wrinkles and lines, some forms of injectable hyaluronic acid are used to add volume to the face. Like hyaluronic acid, calcium hydroxylapatite, the active ingredient in the filler Radiesse, is also naturally produced by the human body. Unlike hyaluronic acid, calcium hydroxylapatite is most commonly produced in the bones, not the skin or connective tissue. It's a pretty heavy material, and that heaviness works in its favor. The ingredient is often used to fill in or minimize deeper lines or creases on the face and can also add volume to areas such as the cheeks. Calcium hydroxylapatite helps minimize lines or add volume in two ways. When it is first injected into the treatment area, the calcium based gel gives an instant boost of volume, reducing lines and wrinkles immediately. The calcium also stimulates the production of collagen in the dermis, or lower layer of skin, and provides the support structure for the collagen to form on. As the ingredient wears off, the collagen remains, so that the wrinkles and lines continue to be reduced for some time to come. The two part process means that calcium hydroxylapatite injections tend to provide longer lasting results, in some cases for a year or longer. At their practice in Naples, Florida, our plastic surgeons, Dr. Anurag Agarwal, Dr. Richard Maloney, and Dr. William Ross, offer injectables containing hyaluronic acid, calcium hydroxylapatite, and botulinum. 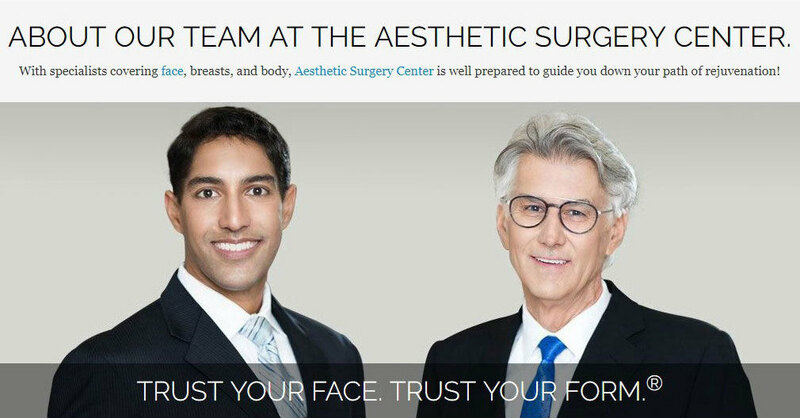 If you'd like more information about your options when it comes to injections, please call the Aesthetic Surgery Center at 239-594-9100 for an appointment today.